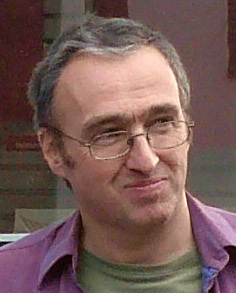 Bryn Truscott is standing for election as Councillor in Redhill East on 3 May 2012. Bryn is a freelance software developer. He has lived in Redhill and Reigate for nearly 20 years and has a daughter at Reigate College. He is a founder member of Redhill Coalition Against Cuts and Transition Redhill, and was part of the team that put on the Love Redhill consultation event in Redhill town centre in February. Bryn says, “I am standing for election as your third Green Councillor. If I am elected, I will work hard on the issues residents care about. “I want to see investment in community facilities prioritised above developers’ interests. My experience talking to residents at the Love Redhill event is that there is a lot of interest in creating new public spaces, a youth centre, maybe a town square – and safeguarding and improving facilities for elderly and disabled people. The Conservative Councillors’ continuing reliance on the short-term, quick-profit-making whims of developers is clearly not working in the interests of Redhill. We have several blocks of high-quality, completely empty, office blocks which demonstrate that. “Redhill urgently needs more schools. Around 1000 new homes have been built in Park 25 and Watercolour in the last few years, but the developers were not required to deliver new schools at the same time. We are now being persuaded to accept that a school needs to be built on Green Belt land at Battlebridge. Perhaps this is now the only site left, but again this is a case of developers having their needs met first, with community needs as an afterthought. “We need more reuse and recycling. Most residents I have spoken to recently would like to recycle more than they do. The improved recycling service that starts this summer (for most residents – those with communal bins will have to wait another year) is a big step forward, but it has been a long time coming. “Parking is one of the main issues people are raising on the doorstep. Residents in many roads have to put up with clogged streets and parking nightmares. The Conservatives’ plan to let developers build on the town centre car parks will make things even worse. Campaigners had persuaded the Council to consult on residents’ parking – something many people want in their roads – but now the consultation has been delayed, along with the consultation on lowering the bus barrier on Frenches Road. We want to see the Council consult on residents’ parking and town centre parking together – and take action to tackle all the interconnected traffic problems blighting the town. “Redhill has been neglected for too long. It’s time we had the same respect and investment as other areas of the Borough.